Cut this out intending to work on it during the Salt City Steamfest. I managed to bevel the edges, but that was it. Last night I managed to get back at it and punched holes for stitching and dyed it. 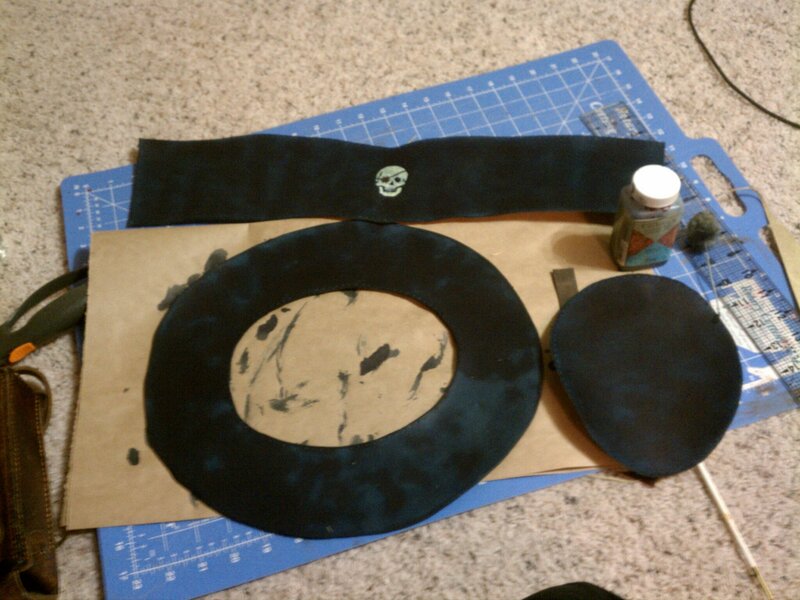 As well as starting to paint in the symbol that will be on the front of the hat.